Achieve lifetime ambition where earth meets sky ! 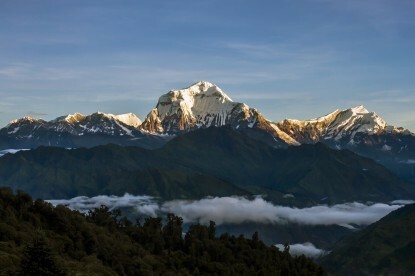 Situated in between the two vast nations China and India, Nepal is a small landlocked country famous for the world's highest mountain, Mount Everest (8,848meters) and Lumbini, the birthplace of Lord Buddha. 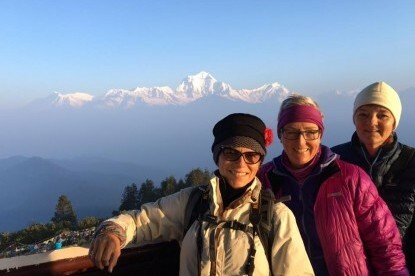 Nepal offers amazing and diverse holiday opportunities mixed with ancient culture, Himalayan views and pristine biodiversity. 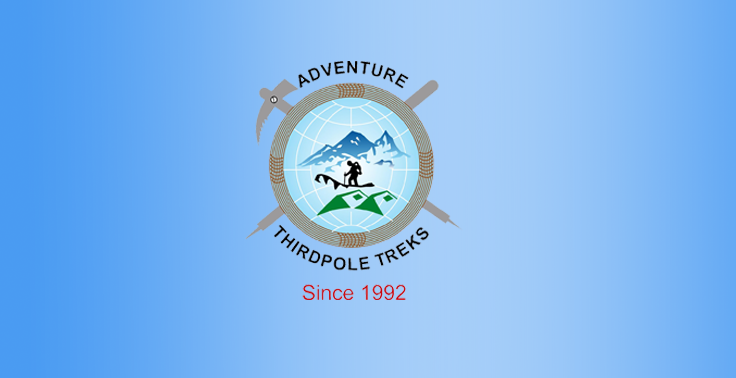 We at Adventure Thirdpole Treks offer exclusive nature and culture based diverse tour packages and arranges customized trips covering pleasure and adventure tours as in City Sightseeing, trekking, mountaineering, white water rafting, jungle safari regional flight transfers, hotel booking, meals tours and car rental arrangements. We are always striving to provide you the most effective travel related information and make travel planning easier, secure and cost effective. Customer care and satisfaction here at Adventure Thirdpole Treks are among the highest priorities. 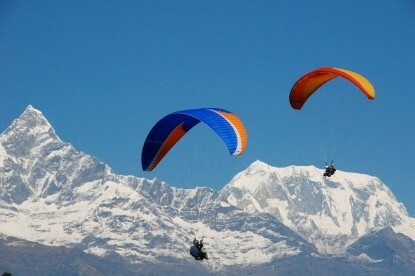 Adventure Thirdpole Treks is an authorized trekking and tour agency in Nepal operating since 1992. We offer different programs ranging from a simple city tour to extreme adventures in the above destinations. We organize trekkings, cultural tours, mountaineering expeditions, jungle safaris and other adventure sports such as white water rafting, mountain flight, mountain bike, paragliding, bungee jumping, canyoning and many more. Besides this, we provide travel services to the region of South Asia, Bhutan, Tibet and different parts of India (Sikkim, Ladakh and Darjeeling). Adventure Thirdpole Treks is always here with a wide range of exotic destinations, packages and different activities to make your travel experience life time memorable. Our team of experts takes a personal care in every steps of our valuable clients providing them customized services. For even greater convenience of e-travelers, we feature a fast service to answer any of your queries online. Adventure Thirdpole Treks is also an agency recommended by LE PETIT FUTE, a French Travel Guide. Not to be disappointed. We have 100% customer have given us smile satisfaction. And you it would be worth what you pay for. Booking through online you will save time, money and best price guaranteed with instant booking confirmation. We accept you booking payment by wire transfer. 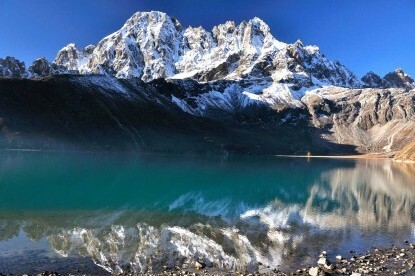 Our Company is safe and reliable having fully tour and trek operation licensed from the Government authorities of Nepal. We’ll be available for 24 hours in contact in the case of emergency, whilst you are in the mountain for trekking or climbing.